Call yourself a hero? We do. I love superheroes. Who doesn't? Somewhere deep inside, I think every one of us wants to be a superhero. Save the planet. Wear a shiny cape. That part of me (the save the planet part, not the shiny cape part), has been concerned for a long time about our environment. But I’ve been stuck in a cycle of feeling overwhelmed, hopeless and ignorant (not unlike when I run out of chocolate). 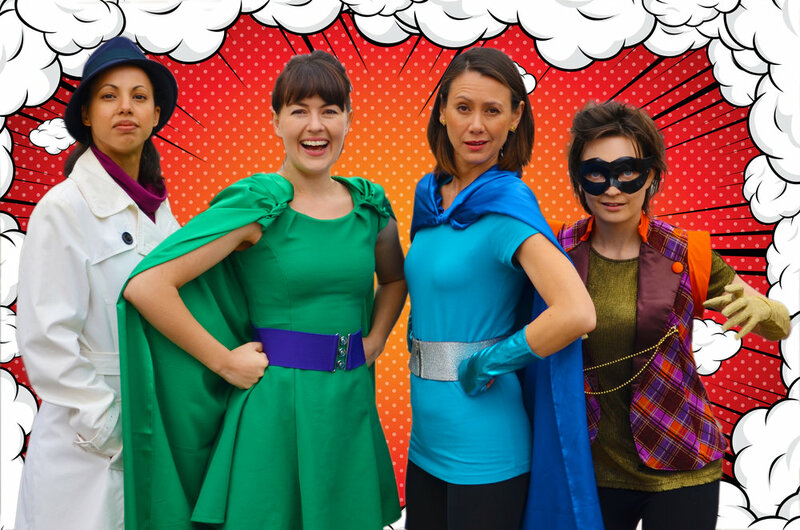 After the international success (mum read it in NZ so I think this counts) of Fairy Tale News, I knew I wanted to write another kids show for wit incorporated. Creating a show of silly gags and ridiculous jokes was like eating a santa sack full of peanut butter. Pure joy. So why not combine love of the environment with my love of shiny capes? What if my superheroes were environmental superheroes? What if saving the planet didn’t have to involve stopping a maniac with bombs buried all over the city? This idea gave me more goosebumps than sticking my bottom in the freezer. Fancy-schmancy superhero movies have been coming out the sparkly rear end of film studios for a while now, but I wanted to take my superheroes in a different direction. Back to their cheesy roots. Like TV Batman (RIP Adam West) with its BAMs and KAPOWs, its awesomely so-bad-they’re-good catchphrases, fabric costumes with undies over tights (none of this breast plate business) and flamboyant supervillains. Next (and probably most importantly) who were my heroes going to battle? Their enemy needed to be a polluter. Someone creating lots of waste. Someone whose actions might destroy the entire world! It turns out, most of us have habits that (often unknowingly) are contributing to global environmental issues. So along came The Waster (cue evil theme song) to represent the polluting part of us all. Like many of us, The Waster churns through disposable items and single use plastics, without the knowledge of what their actions are doing, and feeling that it’s too hard to change. But there is hope for our heroes! [SPOILER ALERT!] 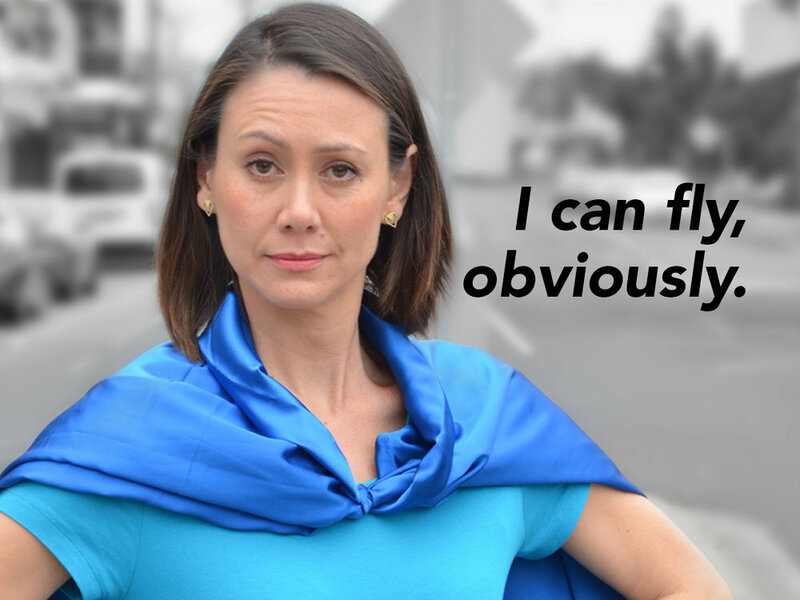 In the quest to become no-wasters, A Hero’s Guide to Saving the Planet is here to empower us. It doesn't solve every problem (you will never remember what you came into the room for), but it does provide some answers. I hope we inspire everyone to make some simple changes, that will save the planet. Because when it comes to the environment, [SPOILER ALERT!] we can all be superheroes. This article first appeared in the July edition of The Westsider newspaper.